The cake prices listed below are only meant as a guide and may be subject to change, depending on the details of your order. Basic sponge &equals; vanilla, chocolate or lemon. Deliciously moist sponge cupcakes, in pink, yellow, lilac or turquoise. 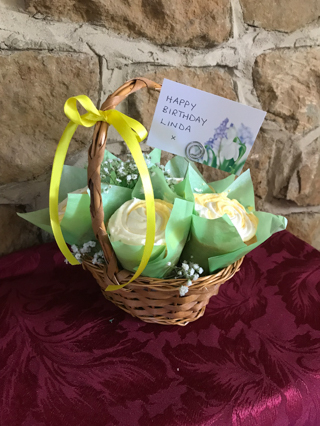 8" (small) basket − 5 large cupcakes, one flavor, with buttercream roses, fresh Gypsophila and paper foliage. Presentation ribbon, bow and gift tag. 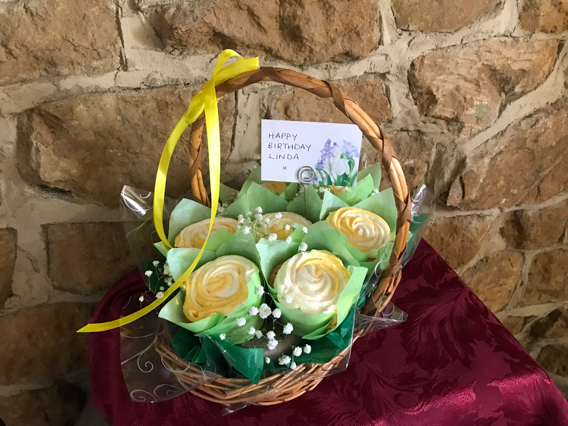 12" (medium) basket − 7 large cupcakes with buttercream roses, one flavour, fresh Gypsophila and paper foliage. Presentation ribbon, bow and gift tag. 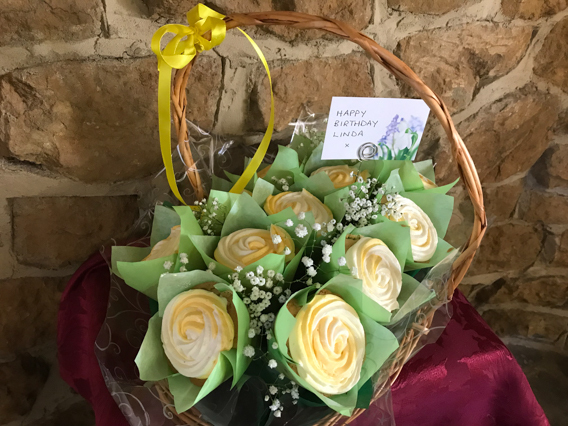 16" (large) basket − 11 large cupcakes with buttercream roses, sprigs of fresh Gypsophila, a choise of 2 flavours, paper foliage. Why not add some sugar butterflies? Only 50p each, they can add that little something.